Roughly defined as any exercise that requires between 60% to 75% of your maximum effort and is sustained at a relatively steady pace for 30 to 50 minutes. This could be a dance aerobics class, cycling, swimming, rowing, walking, running, or performing any other type of aerobic activity at a sustained pace. This type of exercise was found in a recent study to be particularly effective for mental health, producing better results than low-intensity activity and high-intensity interval training. This is roughly defined as any activity that requires between 75% to 100% of your maximum effort and is sustained for short intervals, with periods of rest between intervals. There are all sorts of interval combinations (Peak 8, Tabata, etc.) where effort periods run from 20-40 seconds with rest periods of anywhere between 10 seconds and 90 seconds. You can do intervals with just about any high intensity activity: running, rowing, cycling, swimming, jump rope, speed squatting, burpees, etc. You can also do high intensity intervals with weights. It stimulates your muscles to release anti-inflammatory myokines, which increase insulin sensitivity in our cells and stimulate the liberation of fat from adipose cells for burning. HIIT triggers the production of human growth hormone (HGH), which slows down the aging process. Sustained moderate exercise does not have this HGH production effect. It’s all too easy to get in a rhythm with your workouts and forget to stretch and foam roll. It’s also easy to forget the importance of resting in between workouts. 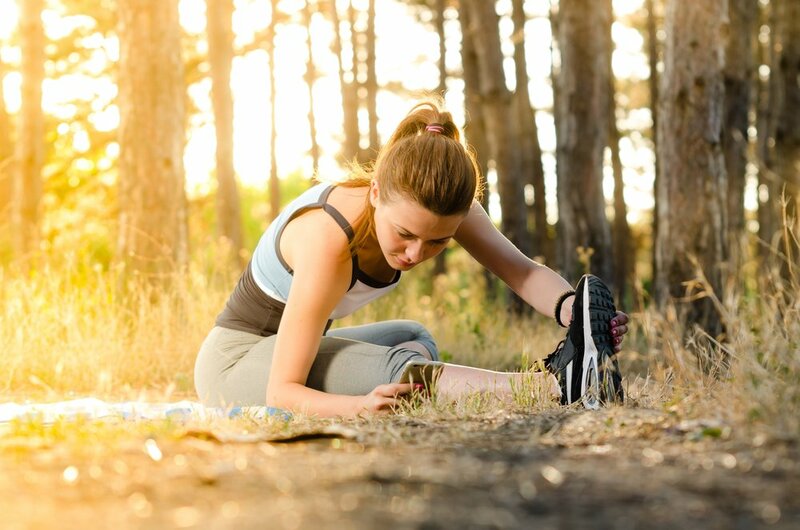 Stretching: whether it’s by going to one or more weekly yoga classes, or doing 10-15 of stretching BEFORE every workout, will go a long way towards preventing injuries. The loss of flexibility with age is one of the major culprit in falls and injuries later in life. And once you start stretching consistently you’ll be shocked to notice how even well into your 70s, 80s and 90s your body will improve in flexibility. Foam rolling: performed with rubber foam rollers or balls against the floor or a wall, these torture devices are really essential for improving range of motion and avoiding injuries. I call them torture because they’re always painful. Every time you work out, you should take at least 5 minutes to foam-roll at least 1 or 2 major muscle groups so as to consistently break down the fascia adhesions that help create knots and limit your range of motion. Rest: taking a break from high intensity workouts is essential in order for your body to truly benefit from all of the anti-inflammatory compounds you are generating. Especially if you do high-intensity workouts several days per week, giving yourself a rest day (performing only mild to moderate activity) will maximize your results. Now, exercise is great but there are some pitfalls that are worth mentioning. Doing too little or not pushing enough: Over the years I’ve met a fair share of frustrated people who are “eating right” and “exercising” and they’re frustrated with their results. Now, there can be MANY factors at play in the lack of improvement. It may very well be that the diet needs some tweaking. But I also often find that people get in a plateau with their fitness. They’re doing the same 2-3-4 workouts per week, every week without any change or increase in intensity. Your body needs to mix it up and break up the routine to keep improving. Pushing too hard and creating another type of chronic inflammation: Pushing too hard for too long can create a different kind of problem where instead of providing an anti-inflammatory effect, your exercise is now a source of chronic inflammation. This manifests in chronic extreme pain from muscle fatigue. A little soreness is good, but debilitating pain is a sign that it was too much. Overtraining to the point of injury: And then we have the overuse/overtraining injuries which can happen from lack of coaching, and sometimes even with coaching.